The fortnight long, “Swachhta Hi Sewa – Pakhwara” commenced o­n South Central Railway today i.e., 15thSeptember, 2018 and will culminate o­n 2nd October, 2018, the Gandhi Jayanthi Day. This cleanliness Swachh Rail – Swachh Bharat campaign coincides with the ambitious Swachh Bharat program of the Govt. 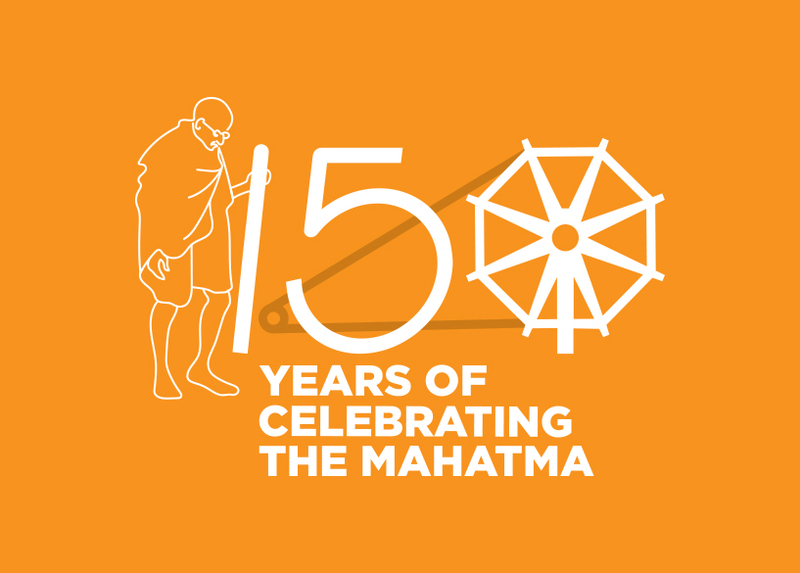 of India, launched four years back, which has succeeded in substantially enhancing the cleanliness and sanitation standards. The enthusiastic participation of railway officials and staff all over the Zone, led by Shri Vinod Kumar Yadav, General Manager, SCR in the cleanliness campaign, got a big boost with the use of an innovative publicity medium for the first time o­n Indian Railways, the Mobile Digital Movie Theatre which will showcase railway films o­n social / public awareness, movies conveying socially relevant messages including the latest Hindi and Telugu movies. The media, a brain child of M/s. PictureTime DigiPlex, New Delhi is a digital marvel, incorporating a mobile setup to seat around 150 persons at a time, in totally air-conditioned ambience. The General Manager along with Shri Dil Raju, the noted Telugu Film Producer inaugurated the Mobile Theatre at Kacheguda today and stated that this media option will be planned for extensive use, to take home socially relevant public awareness messages connected to railways, to the public. 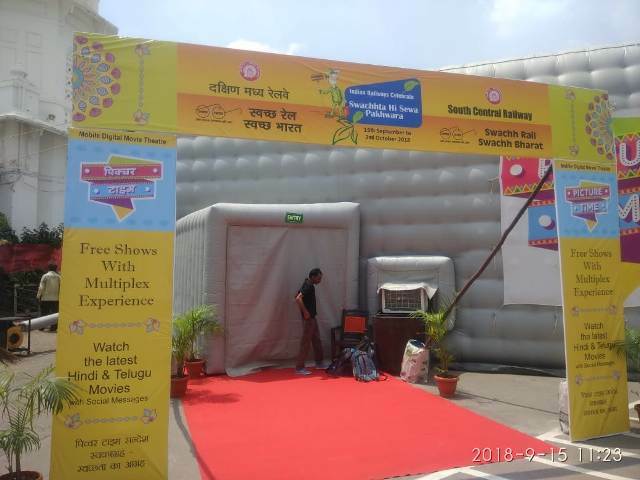 The Mobile Digital Movie Theatre is planned to be stationed at Kacheguda Railway station for 3 days and will run four shows daily, showcasing various popular movies along with social / Swachhta messages, with the entry being open for public free of cost. Shri Anurag Trivedi, President & Executive Director, M/s. PictureTime DigiPlex, welcomed the General Manager, other railway officials and staff to the launch screening and stated that they have come forward to take up the Swachhta Hi Sewa campaign o­n SCR, impressed by the fact that the Zone is holding the image of being o­ne of the best o­n Indian Railways. He complemented the General Manager for the response that the Zone has been to their idea. Shri Trivedi acknowledged the cooperation extended by Shri John Thomas, Addl. General Manager; Shri Arun Kumar Jain, Divisional Railway Manager, Hyderabad Division; Shri P.V.Sai Prasad & Shri N. Srinivasa Raju, Addl, Divisional Railway Managers, Hyderabad Division and Shri M. Umashankar Kumar, Chief Public Relations Officer, SCR who was instrumental in giving shape to their idea of utilizing the Mobile Digital Movie Theatre for a public cause.